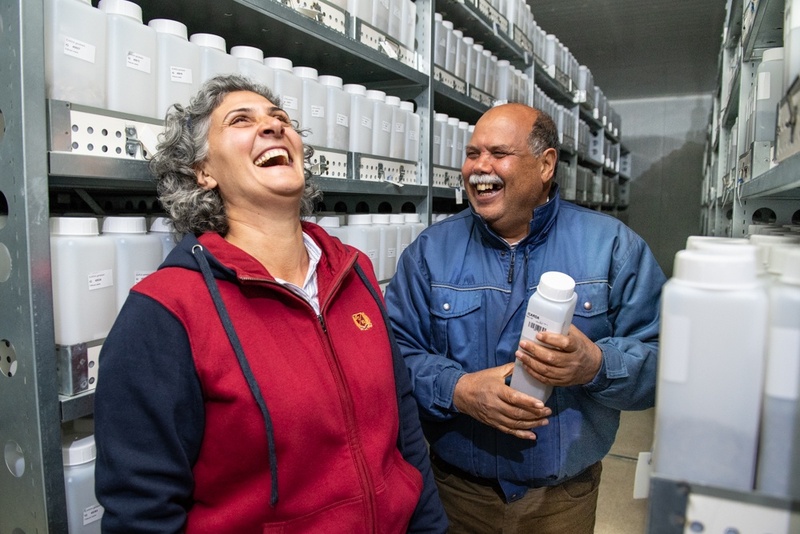 ICARDA is one of 11 CGIAR research centers which make up the Genebank Platform, a partnership between the Crop Trust and CGIAR. 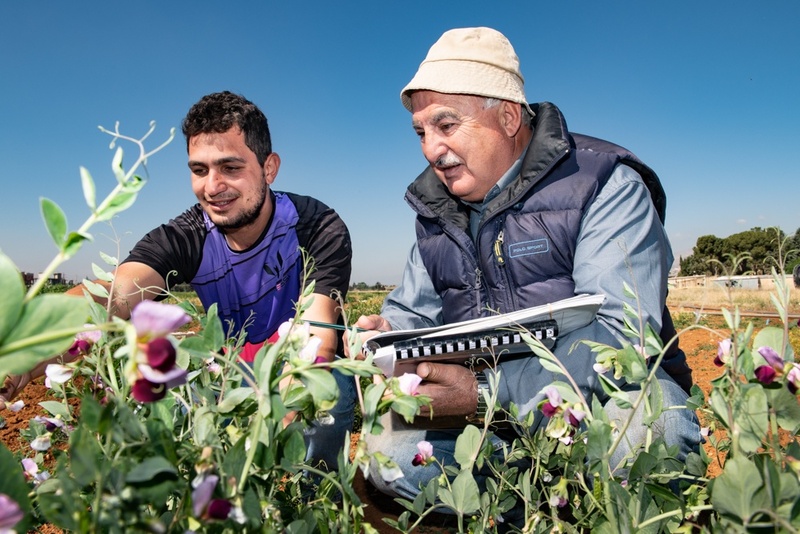 ICARDA currently has 155,000 accessions listed on Genesys, the global portal to information about plant genetic resources for food and agriculture. Ahmed Amri selected a spike from a collection he held in his hand. “This one is what we think is the progenitor of wheat. 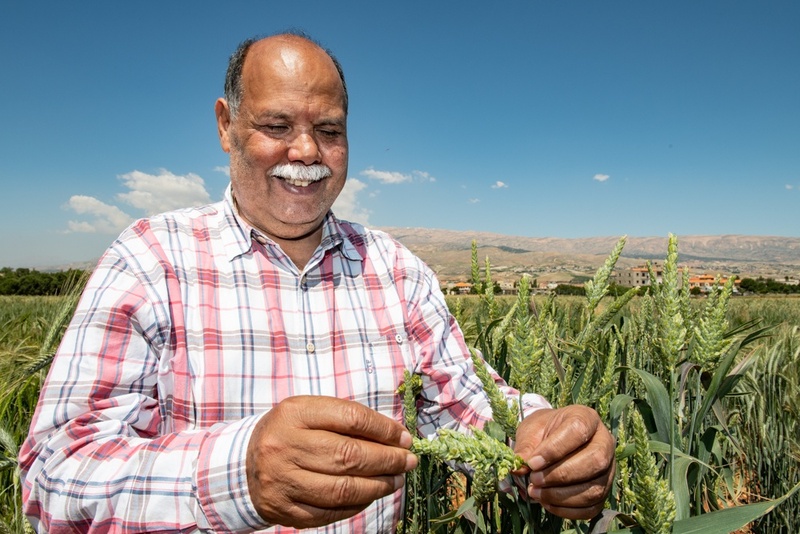 It’s Aegilops speltoides,” Ahmed, the head of the Genetic Resources Section of the International Center for Agricultural Research in the Dry Areas (ICARDA) then held up another spike. “And it crossed with this one: Triticum uratu.” Ahmed continued to place wheat spikes in a line on the ground and mapped out the evolution of durum and bread wheat over the millennia. On the ground lay an amazing collection of wheat genetic diversity … all freshly picked from the regeneration plots of ICARDA at its Terbol station in Lebanon. It was as if time had been turned back, and the evolution of wheat had been repeated all over again, right here in its center of origin. The area is not only the center of diversity of wheat. The wild progenitors of emmer wheat, einkorn, barley, flax, chickpea, pea, lentil, and bitter vetch are all still found in the so-called “Fertile Crescent”, which forms an arc from the Nile delta to the head of the Arabian Gulf. It was here that the first crops were domesticated more than 10,000 years ago. It’s no coincidence that ICARDA’s Terbol station is located right in the middle of an area known as one of the very few original homes of agriculture around the world. 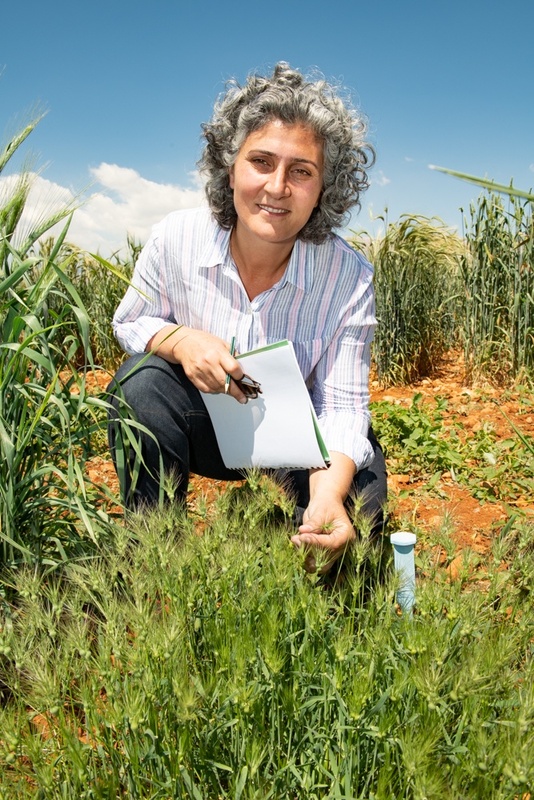 Plant genetic resources scientists from ICARDA have been scouring the Fertile Crescent for these wild relatives of our domesticated crops for the interesting traits that they hold. In order to conserve this genetic diversity in the long term, they must have an abundance of seeds in active and base collections of the genebank and also safely duplicated in another genebank, and the Svalbard Global Seed Vault. That can mean a lot of seeds have to be regenerated from the handful gathered by the original collectors. That’s not so easy to do. The seeds of crop wild relatives are tricky to germinate, harvest, thresh and clean. But ICARDA has developed the expertise and technology to regenerate thousands of these seeds at its Terbol station. The current work is a massive operation: 9,603 separate samples, or accessions, were multiplied at Terbol in 2017 and 14,244 in the 2018 growing season, a number bigger than the entire collection of many genebanks. 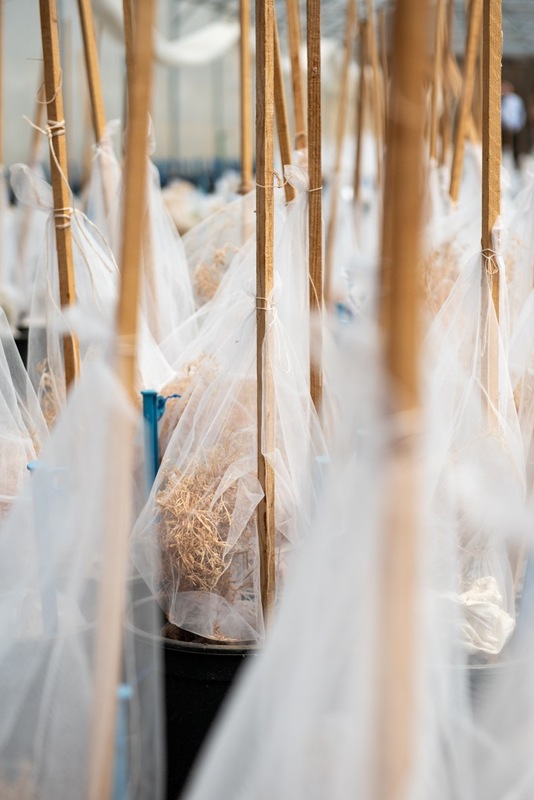 In addition, ICARDA is regenerating wheat accessions sent by the International Maize and Wheat Improvement Center (CIMMYT). The Millennium Seed Bank at Kew Gardens (MSB) has sent a significant number of accessions for regeneration which were collected in the Fertile Crescent as part of the ongoing Crop Wild Relatives project. 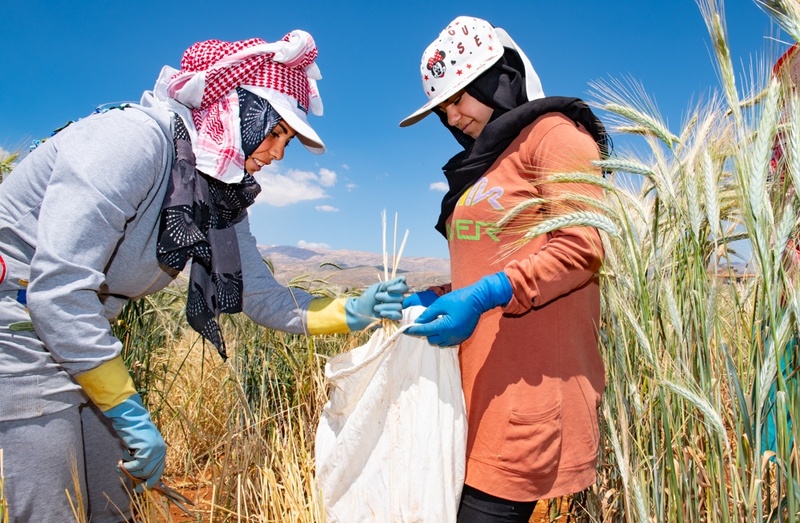 Until recently, ICARDA conducted most of its genetic resources work in Tel Hadya in Syria. 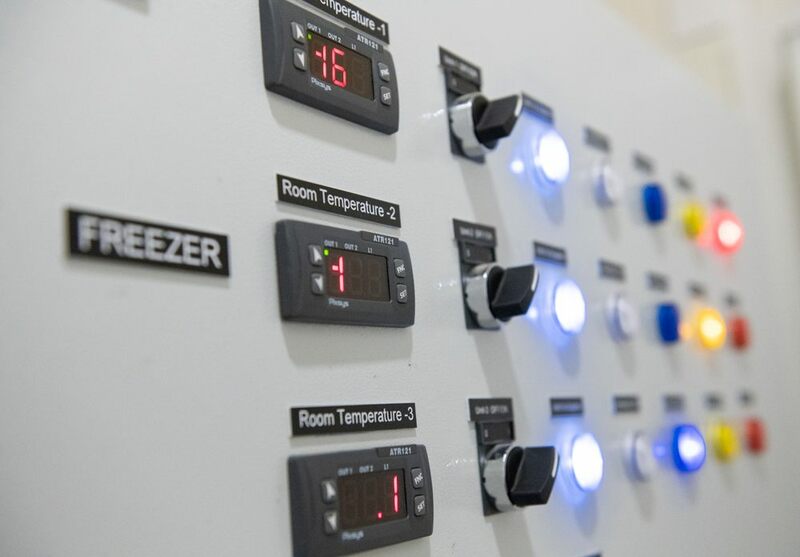 But with the ongoing conflict in Syria, the Center has upgraded its Terbol station to handle many of its genebank operations. 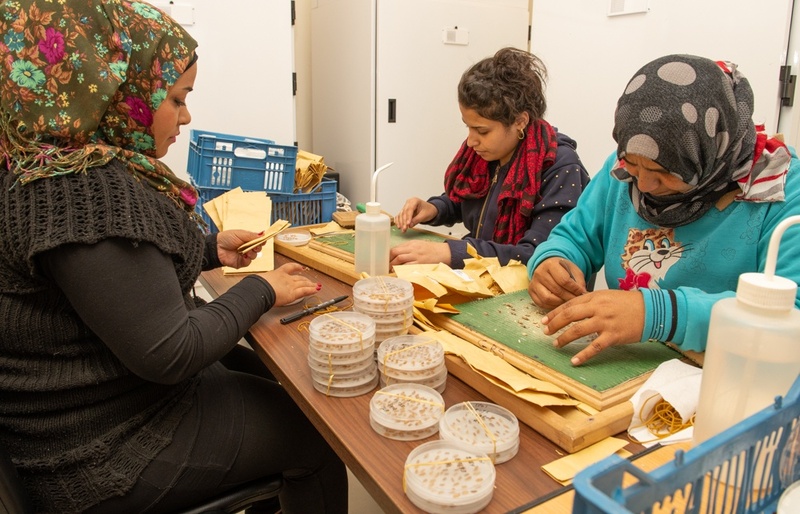 “Thanks to support from the CGIAR-Crop Trust Genebank Platform, ICARDA now operates genebanks in both Lebanon and Morocco. Much of the regeneration work of the crop wild relatives and wild forage and range species is done in Lebanon,” Ahmed explained. “This is the center of diversity of these crops. 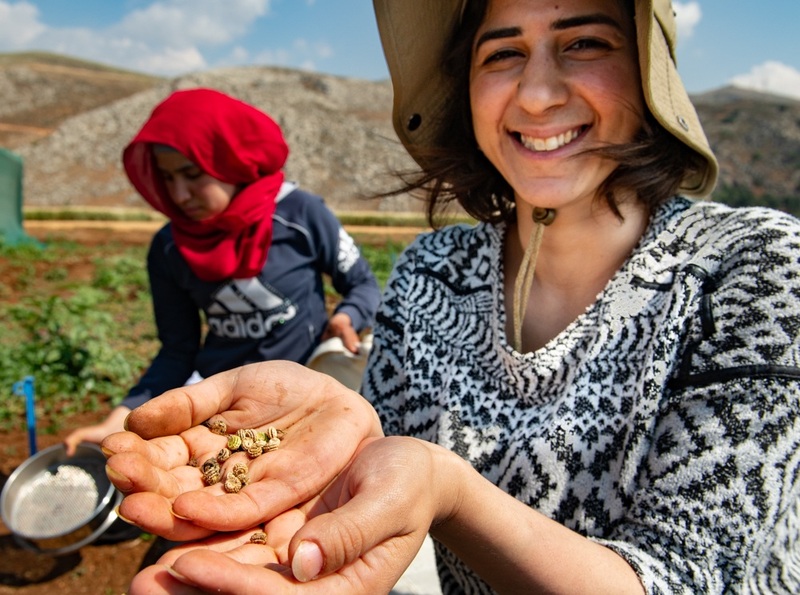 This is no doubt the best place in the world to undertake such a massive task.” Terbol lies in Lebanon’s Beqaa Valley and is ideal for growing seeds with different requirements as it provides a gradient of conditions from semi-desert to high-rainfall areas. One problem with regeneration work is the seed invariably will escape. “If a seed of a wheat wild relative escapes in Mexico, it could very well become a noxious weed,” Ahmed says. 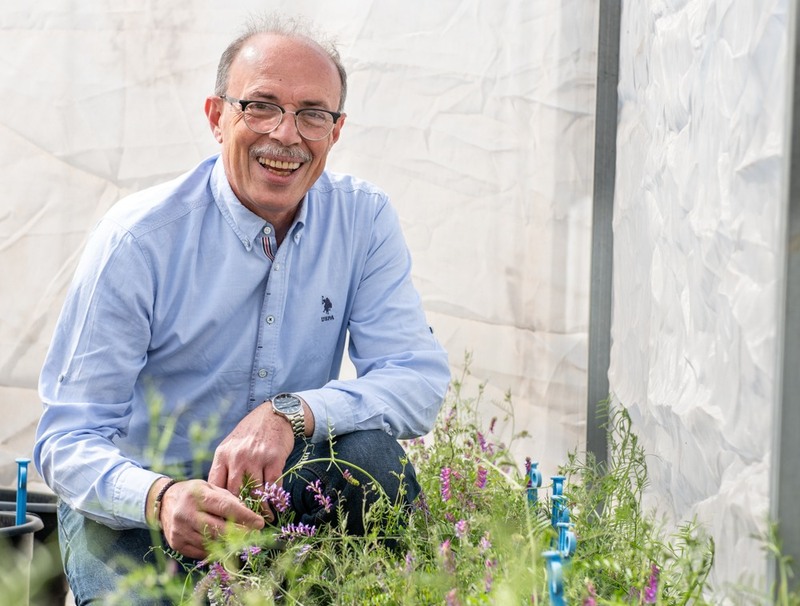 “In Morocco, we would have to multiply indoors and that’s not economically viable.” In Lebanon, ICARDA can multiply a large number of accessions outdoors in their natural habitat without the precautions needed to prevent introducing weeds. But regenerating seed in large quantities is challenging given the high standards required in seed multiplication for genebanks. 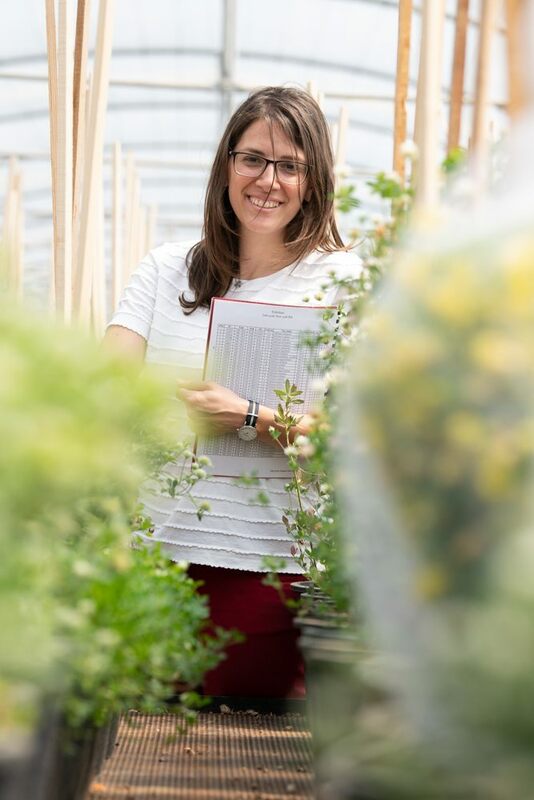 “Finally, we need to make sure that the seeds are viable … that they will germinate when planted again and they do not carry diseases and pests that are quarantine risks,” Mariana said. 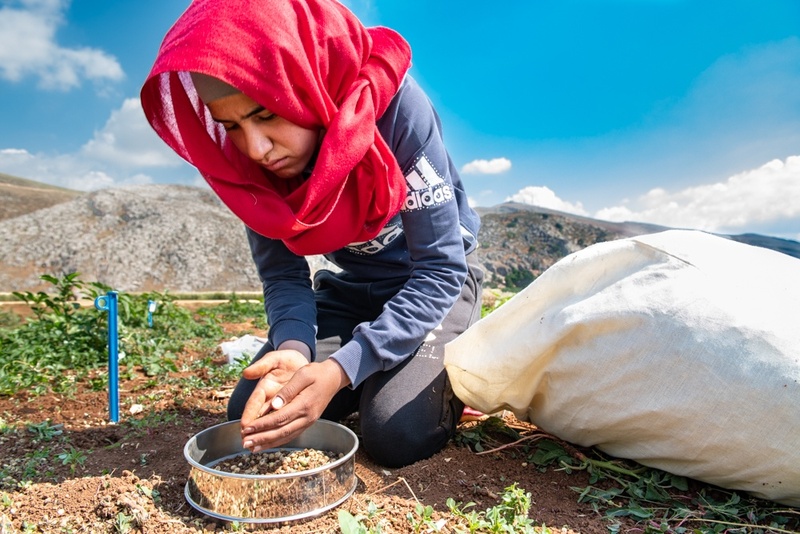 For that too, ICARDA is well placed, with skilled staff to ensure that healthy seeds are harvested on time and moved rapidly to storage, using well-rehearsed standard operating procedures. It’s hard enough though to maintain integrity, quantity and quality for a single accession. ICARDA has to do it for more than 150,000 accessions. When it comes to multiplying crop species from the Fertile Crescent, it isn’t a matter of “one method fits all.” Different crops require different methods for seed multiplication. ICARDA deals with a large number of species, and all require their own regeneration protocol. Sometimes, even varieties within species do. “We are set up to handle four major groups of crops,” Ahmed said. “First, we have crop species which are self-pollinated.” These are crops like barley, wheat, chickpea and lentil where pollination occurs within each individual plant. “These are the easiest to maintain in terms of ensuring integrity. 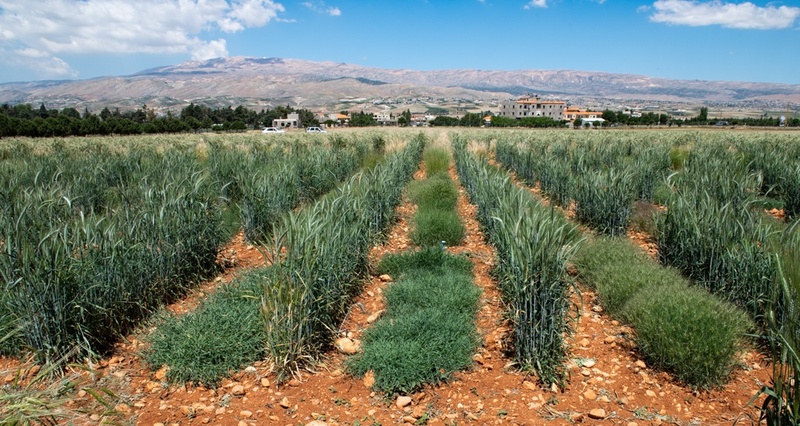 Genetic material won’t be transferred between accessions.” ICARDA leases land from the American University of Beirut’s Agricultural Research and Education Center a few kilometers north of Terbol for this regeneration, multiplication and characterization work. 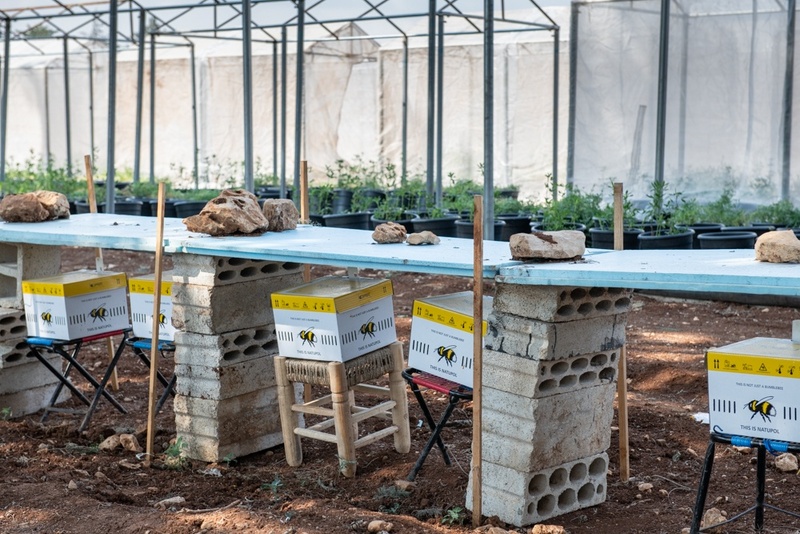 Self-pollinators needing a bit more hands-on attention because of the limited seed available are kept in plastic houses in Terbol. Some not-so-domesticated species need to be enclosed in mesh bags since the seeds tend to shatter. 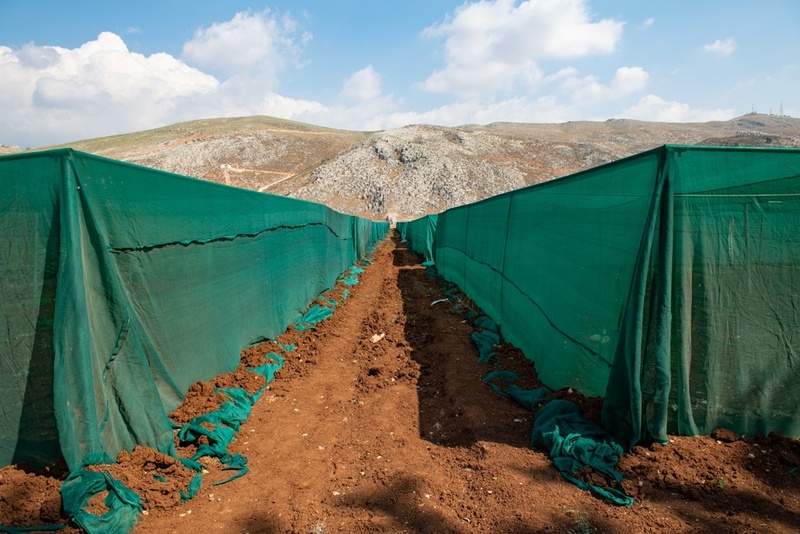 ICARDA has constructed 40 isolation cages of green mesh, which measure 24 by 16 meters. Accessions in these cages are planted in two or three rows with row spacing of 45 cm and 1.45 m between two adjacent accessions. “Then we’ve got some cross-pollinated species which are self-incompatible, such as some wild forages like Trifolium,” Ahmed said. “That means if you don’t have insects to pollinate them, you will hardly get any seeds. For these we have 184 isolation cages, which measure 2 by 4 meters. We can’t have accessions from the same species together because then there would be mixing, but we can have different species together, like Lathyrus, Trifolium and Vicia in the same cage, and then we introduce the pollinators.” That last bit hasn’t been so easy for the Terbol crew. It’s great to have the science and facilities to multiply seeds, but those are worthless without skilled staff. The expertise in ICARDA has developed over 40 years, with senior staff passing down their knowledge and experience to their younger colleagues, who will take over one day. The shift of the genebank operations from Syria to Lebanon, however, threatened to create an erosion of those human resources. Fortunately, many of the Syrian staff followed the Center to Lebanon. The right location, people and protocols. 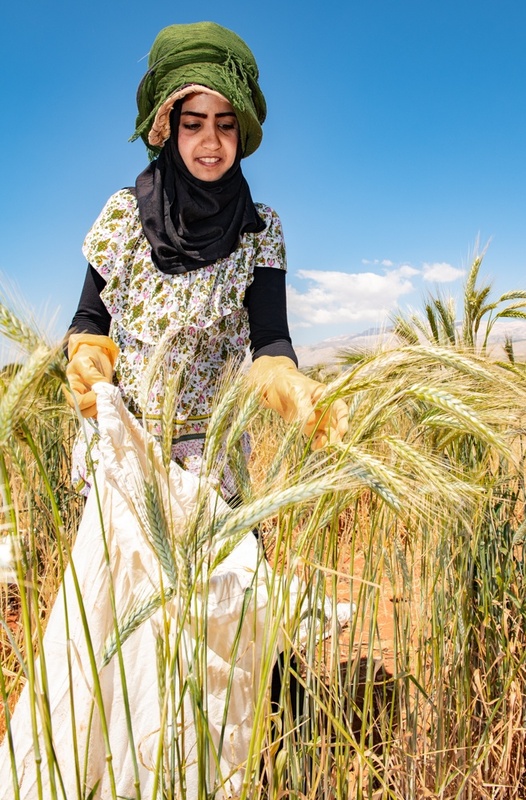 ICARDA has them all, and is ensuring that the genetic diversity of the food crops and forages from one of the most important centers of agriculture are conserved in the best possible conditions.